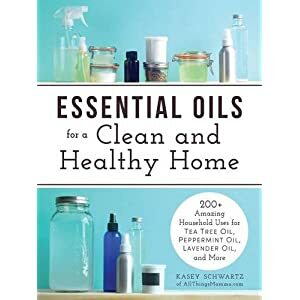 Essential Oils for a Clean and Healthy Home: 200+ Amazing Household Uses for Tea Tree Oil, Peppermint Oil, Lavender Oil, and More A few weeks ago I found a surprise package in my mailbox: a book about using essential oils for cleaning. I don’t remember asking for it, but I surely was excited to flip through it and see what new ideas I can glean. You see, I’ve been on a journey to improve my health, which included not only better eating, and more exercise, but also getting rid of pretty smelling but harmful commercial cleaning supplies. I have to admit: I love a good smell, and some of the cleaning solutions and powders smell pretty good. But as I later found out, so do essential oil blends I can create myself. And of course, essential oils are much safer than some of the ingredients in those strong smelling industrial cleaners. Nearly everyone has had some experience, or at least heard about the wonderful cleaning properties of baking soda and vinegar. And adding some oils to them will usual enhance the cleaning strength, while leaving a pleasant aroma behind. In a hurry? Get your copy of Essential Oils for a Clean and Healthy Home from Amazon! Let’s look at each of them individually. Essential oils have been around for thousands of years and their benefits have been known to mankind for as long. But for someone just learning for the first time about these wonderful oils, it might be overwhelming. Don’t worry, because Kasey’s book gives you great information about each oil you’ll be using, including where to buy, reasons to use them in your home and safety tips, so you can relax and enjoy your newfound freedom from chemicals. 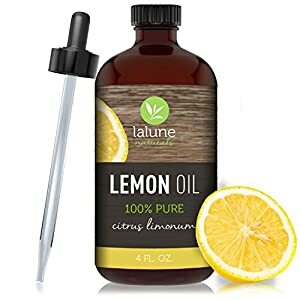 Just make sure you stick to the recipe: essential oils are very concentrated and adding more doesn’t make your cleaning product stronger: it will just make it dangerous, depending how much more you add. The best essential oils for cleaning are carrot seed, citronella, clove, eucalyptus, frankincense, lavender, lemon, lemongrass, orange, peppermint, pine and tea tree oil. 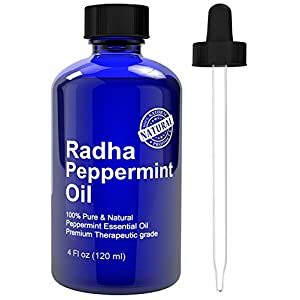 Peppermint Essential Oil 4 oz – 100% Pure & Natural Mentha Peperita Therapeutic Grade No matter how much we’d like to deny this, pests, smells and other obnoxious “things” are all around us. Does your house smell stale, or musty? Grab some peppermint of lemongrass, add a few drops into a spray bottle and start wiping down your counters. Have spiders made their home in yours? Try a peppermint spray: spiders hate it. Or better yet, mix 1.5 cups of eater with .5 cup of white vinegar and add the peppermint oil to this mixture (about 20 drops). Spiders are also not fond of vinegar, so this will work double duty! Spray entryways and window sills with this mixture and watch the spiders leave! You’ll find lots of ways to freshen up your closets and drawers, get rid of shoe stink, safe insect sprays for the kids, room sprays and more! To truly clean your home, you need to be very thorough: start with your ceilings and work your way down to the walls and floors. Don’t forget the counters and other hard surfaces around the house. You can wipe down your counters with vinegar mixed with lemon that will leave a fresh lemony aroma everywhere. You can easily freshen up your carpets with a dusting of baking soda and your favorite essential oil. And if your home displays beautiful hardwood floor, Kasey’s wood floor cleaner and wood floor polisher combination will surprise you pleasantly. Mix all wet ingredients in a large glass container (you can use a jar your recycled from your pantry, or any other glass jar with a lid). Then soak your cloth squares and use as needed to clean or dust surfaces (squeeze well before using). Wash it after each use and place back in the jar. In this chapter you’ll find all kinds of recipes to keep your kitchen clean and safe. From all-natural dish soap, to counter cleaner, cutting board disinfectant, and trash can deodorizer, you’ll be surprised hoe much better you’ll feel about cleaning your kitchen with these natural alternatives. Combine all ingredients in an empty dish soap bottle and shake gently. Use for washing dishes by hand. Want a cleaner home Get your copy of Essential Oils for a Clean and Healthy Home at Amazon! Fill a large basin or shallow bucket 2/3 of the way with warm water, and add all ingredients above: mix well, and soak your feet in it until the water cools off. Dry your feet and follow up with a good moisturizer (recipe also found in the book). Isn’t it lovely to feel pampered? Laundry isn’t fun: at least for most moms with lots of other activities to attend to. More and more children ( and adults alike), struggle with allergies, so eliminating allergy triggers like commercial detergent and dryer sheets, could be the difference between miserable, itchy days and happy, relaxed, care free days. This chapter brings you recipes for laundry detergents, fabric softeners, stain removers, fabric refresher sprays, natural bleach alternative, static cling remover, and a lot more recipes to make laundry day more bearable. Combine vinegar, water, and essential oil in a bowl, mix well, and add your washcloth. Squeeze out excess water and use as any other dryer sheet in your dryer. I’ve been using vinegar instead of liquid softener for more than a year and I would never go back to my old ways. Using essential oils safely on your children and pets is one of the most important decisions you can make for their future. Both children and pets are delicate, and you need to be careful what oils you use and in what concentration. But once you have a recipe and follow it, you have no worries. In this chapter Kasey brings a collection of homemade toys that use essential oils, like super soft play-dough, scented bubbles, aromatherapy Moonsand, glitter slime and more. She also has a recipe for diaper cream for your little one, lots of safe cleaning solutions, pet cage freshener, etc. This book is easy to read, and the essential oils recipes are a breeze to make. You already own most of the ingredients and have then in your pantry. It’s time to have some fun and get your home clean with products you make: use essential oils for cleaning and enjoy a healthier life. By making your own cleaning products, you’ll experience the amazing power of essential oils in your life, but you’ll also save money and save the environment: a good outcome in my opinion. If you don’t have all of the oils recommended in this book, I suggest getting my 3 favorite oils used in cleaning recipes: lemon, tea tree and peppermint oils. As you experiment and become more excited about oils, you can add a few more oils every month. Have fun cleaning. Get your copy of Essential Oils for a Clean and Healthy Home at Amazon: it will change your life. Literally!!! Which oils are used in this book..young living or another company? Katrina, you can use any brand of oil you choose: she doesn’t mention a specific brand. Thank you so much for sharing!! I am so happy that you loved my book! I like the cleaning wipe recipe and will be doing it. I can smell it too! I entered the giveaway. love essential oils and love reading about new ways to use them! Is this how you enter for the wonderful book? Monica, you just fill out the form above the comments. 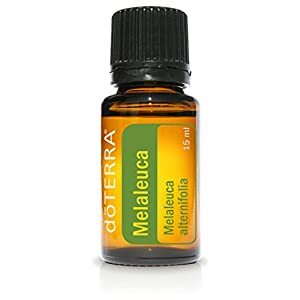 I just became a Wellness Advocate with doTERRA! This book will help me in my journey. Would love to learn all I can about their many uses! 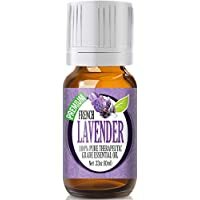 Love natural and DELIGHTFUL suggestions for maintaining a clean home with essential oils and vinegar. Thank you!